Tennessee Williams is arguably one of the greatest and most praised of playwrights. Which is why when a play of his hasn’t previously hit the mark as many of the others have done, it sticks out more so than it should. 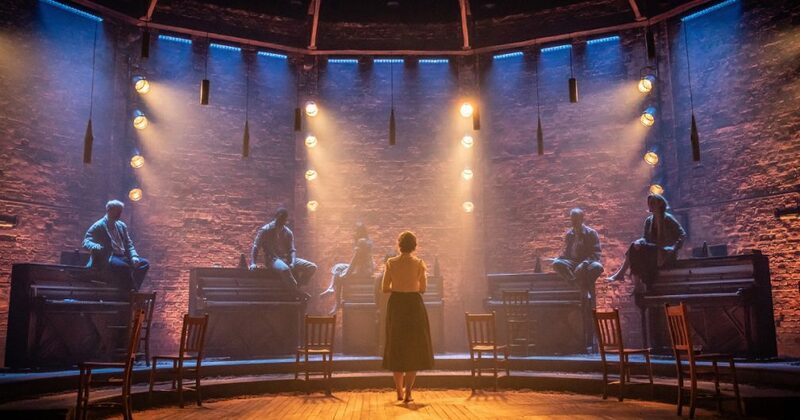 Summer and Smoke was revived at The Almeida earlier this year with fresh direction and an impeccable leading lady that this now revisioned play is even coming back again for a West End run at The Duke of York’s! Summer and Smoke follows the story of Alma (Patsy Ferran), a repressed music teacher of a Mississippi pastor – who conflicts between morality and desire and the anxiety that comes with this. Her admiration for her neighbour Dr. John (Matthew Needham) only elevates her anxieties further as she believes him to be toying with her rather than befriending her. It isn’t only until later in the play that we realise our two leads are very similar. Ferran is impeccable as Alma but her co-stars can dwindle in her firework display of emotions and depth in the beginning. Needham does come into his own along the way and creates a brooding, interesting John. Ferran is captivating and delightfully charming when playing alongside Needham. They both are reprising their roles from the Almeida production. Summer and Smoke was written in the forties but didn’t receive its West End Premiere until 2006 – before closing early. Many would blame this on the book and some scenes can be stretched out and dwindle in comparison to others. Rebecca Frecknall’s production doesn’t completely escape from this but her sharp and imaginative direction plays to your heart. 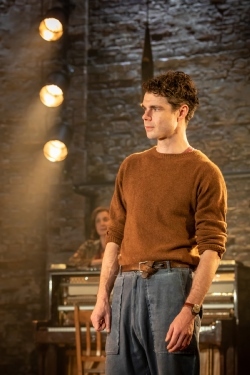 You feel for the characters and their circumstances which is only made stronger by Tom Scutt’s stunningly stripped back and warmly lit set design. Adorned with seven pianos played throughout, this brings out the emotional highs and lows in this otherwise plainer script. You can tell this production will not suffer the same fate go early closure. With all the creative strengths this production has, the play is most definitely Ferran’s whose performance I will remember for quite some time. Take some time out to see this beautiful rendition of a play that may never be viewed in the same way again.